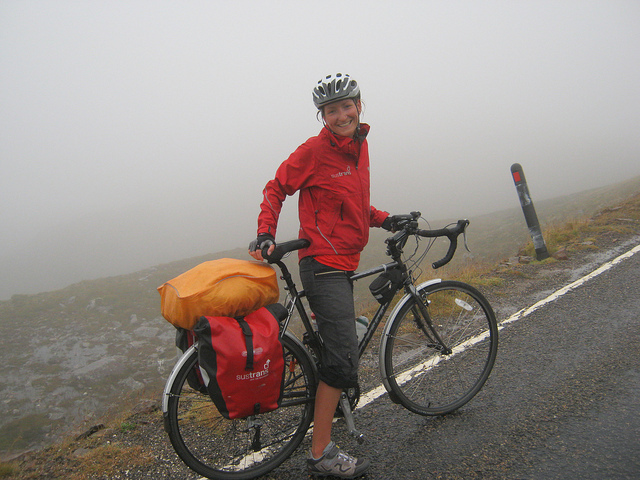 In the book Eat Sleep Cycle – A Bike Ride Around the Coast of Britain, Anna Hughes tells the story of the 10-week long 4,000 mile cycling adventure she completed in 2011. Completing the book took almost another 4 years. On her blog she writes, “Eat/sleep/cycle. Eat/sleep/write. Both things were the most simple thing I’ve ever done. Both things were the hardest thing I’ve ever done. Both things were the best thing I’ve ever done.” You can learn more about Anna and the ride around Britain at her website annacycles.co.uk. Anna Hughes, welcome to The Pursuit Zone.